Papers: Correspondence in George William Baldwin (son) papers, 1856-1879. Papers: Correspondence in Amistad (Schooner) case collection, 1839-1968, on 6 microfilm reels of originals from various repositories. Finding aid. Papers: 3 letters (February 15, 1844; March 23, 1846; and April 25, 1846) to Sanford Mead; 2 letters (October 27, 1845 and May 7, 1853); 1 letter (December 12, 1856) to Welch Shipman; 1 letter (November 14, 1861) to Gideon Wells; and 1 print. 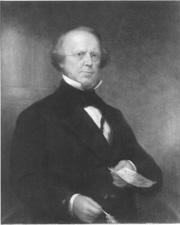 Papers: Correspondence in Ellis Gray Loring papers, 1823, 1837-1841. Finding aid. Papers: Correspondence, financial and legal papers, genealogy and personal papers in Baldwin family papers, 1734-1977. 650 items. Finding aid. Papers: 4 letters by and 2 to Baldwin (1840-1861) in various collections. Finding aid. Papers: In Baldwin family papers, 1595-1947. 90 linear feet. Includes correspondence and other papers of Roger Sherman Baldwin relating to his antislavery defense of slaves in the Amistad case (1839-1840). Available on 1 microfilm reel. Finding aid. Additional Papers: In the Day family papers, 1768-1929. Finding aid.